Turner Classic Movies (TCM) has announced that the 2016 TCM Classic Film Festival will be running from the 28th of April to the 1st of May, marking the seventh annual gathering of legendary stars, award-winning filmmakers, and classic movie fans from around the globe. The theme for the four-day event will explore Moving Pictures, the movies that bring us to tears, rouse us to action and inspire us. Passes for the latest edition of the TCM Classic Film Festival will go on sale to the public on November 19th. The magic of movies isn't just motion, it's emotion. As we watch cinematic stories play out, they feel like our own. In 2016, the TCM Classic Film Festival explores MOVING PICTURES – the ones that bring us to tears, rouse us to action, inspire us, even project us to a higher plane. In the heart of historic Hollywood we'll gather to share the big-time emotions of big screen stories, from coming-of-age pictures to terminal tearjerkers, from powerful sports dramas we feel in our bones to religious epics that elevate our spirits. These are the films that set our love of cinema in motion. Passes can be purchased exclusively through the official festival website. A limited number of festival passes will also be available to Citi cardmembers via an exclusive online only presale at www.citiprivatepass.com. This exclusive presale begins at 10am (ET), Tuesday, November the 17th, and ends at 10am (ET), Thursday, November the 19th. 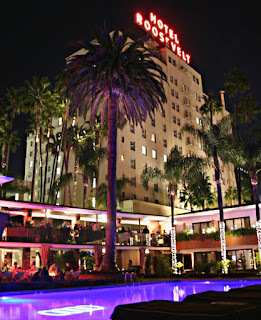 Serving for the seventh consecutive year as the official hotel and central gathering point for the 2016 TCM Classic Film Festival will be The Hollywood Roosevelt Hotel, which has a longstanding role in movie history and was the site of the first Academy Awards® ceremony. The Hollywood Roosevelt Hotel will also offer special rates for festival attendees. Screenings and events during the festival will be held at the TCL Chinese Theatre IMAX, the TCL Chinese 6 Theatres, and the Egyptian Theatre, as well as other Hollywood venues. The "Spotlight" Festival Pass: $1,649 – Includes all privileges available to "Classic" and "Essential" passholders, priority entry to all screening events; plus entry to the exclusive opening-night party following the red-carpet gala screening at TCL Chinese Theatre; meet-and-greet events with TCM friends, including Robert Osborne and Ben Mankiewicz; and a limited edition TCM Classic Film Festival poster. The "Essential" Festival Pass: $749 – Includes all privileges available to "Classic" passholders, plus entry to the opening-night red-carpet gala screening at TCL Chinese Theatre and official TCM Classic Film Festival collectibles. The "Classic" Festival Pass: $599 – Includes access to all film programs at festival venues Thursday, April 28th – Sunday, May 1st (does not include admittance to the opening-night red-carpet gala screening at TCL Chinese Theatre or the opening-night party); access to all Club TCM events, panels and poolside screenings at the Hollywood Roosevelt Hotel; an opening-night welcome reception at the Hollywood Roosevelt Hotel; and the closing-night event. The "Palace" Festival Pass: $299 – Includes access to all screenings and events at the historic TCL Chinese Theatre (excluding the opening-night red-carpet gala) and the Egyptian Theatre Friday, April 29th – Sunday, May 1st, as well as poolside screenings at the Hollywood Roosevelt Hotel.